Clerkenwell is an uncharted territory for me. It is only recently that I start venturing out to this corner of London. On this particular day, I was all set to go for a late lunch at one of the newly opened sushi-ya in this area but by the time I arrived, it was already full house. Like a typical authentic sushi-ya, it only houses 7 diners. 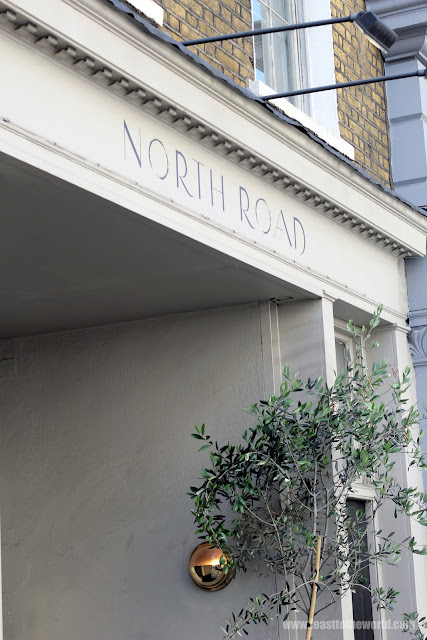 An alternative therefore has to be found and , Erik, a friend whom I was meeting for lunch suggested North Road, a restaurant that I have heard of but never quite get an opportunity to visit. And as it turned out, he was dying to try it too. So we made our down to St John Street and it wasn't long before we found ourselves seated down in this quiet and serene restaurant (it was half past two after all, rather late for any lunchers). 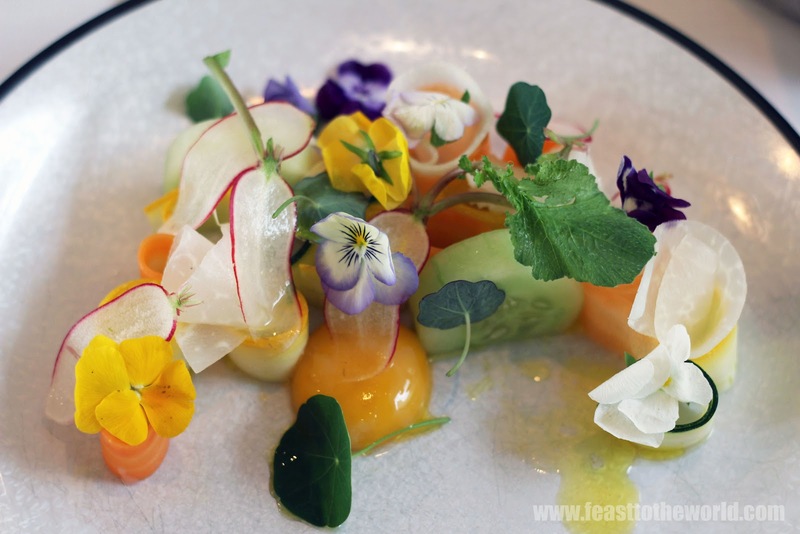 Flipping throughout the menu, the usage of local produce juxtaposing with foraged exotic flowers and wild herbs made it read like a menu that wouldn't look out of place in Roganic. Although the set lunch looked rather tempting at £25 for 3 courses, we both decided to go for the a la carte menu instead. Once the orders were placed, the wine arrived in no time along with a little hemp sack secured with a wooden peg. 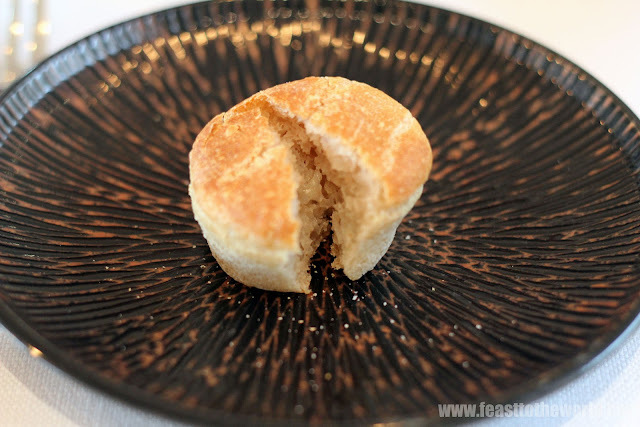 When unpegged, it revealed a selection of tiny warm bread rolls. 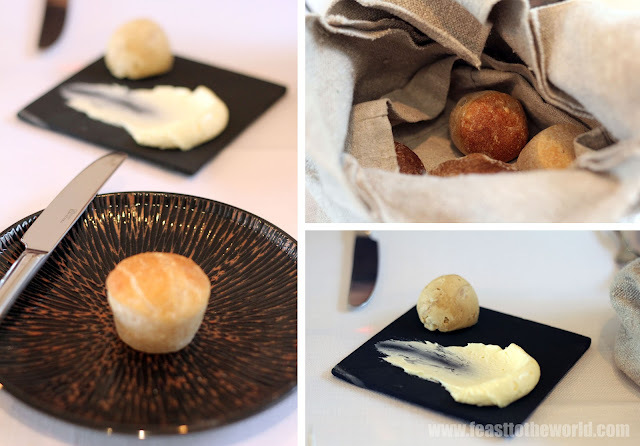 They were served alongside with some buttercream and a nutty caramelised butter, The bread were incredibly light and fresh. The butter, with it's sweet caramel undertone was an absolute delight. I could happily just eat the butter on its own. The starter arrived just as quickly. My pheasant egg dish looked like a work of art and was almost too beautiful to eat. 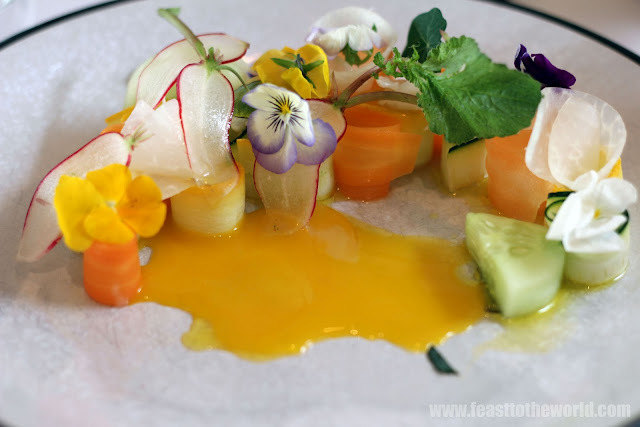 Adorned with lots of edible flowers and raw and pickled vegetables, the taste was clean and uncompromised. Every elements were beautifully prepared, the freshness of the cucumber balanced so well with the tangy radishes and mooli; the oozy runny yolk (I just love runny yolks!) added a touch of richness that is just wonderful. And the subtle meaty vinaigrette brought the whole dish to a perfect harmony. Erik's dish was beautifully cooked scallops. They had a sea fresh sweetness about it which was further enhance by the sharp-tasting sea-buckthorn dust. The cold sea urchin pureé was a touch unusual but delicious nonetheless. I only had a mouthful but could have eaten the lot if this was my starter. 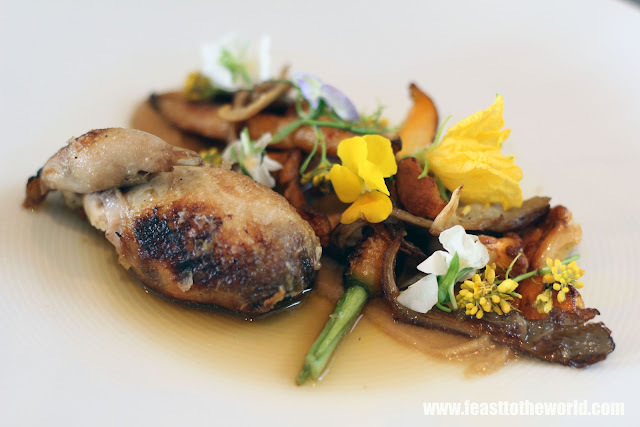 The quail, again came with edible flowers were another pretty sight to look at. Once the dish was placed before me, the waitress poured the accompanying little jug of jus onto the plate. The wild mushrooms were meaty and tasty and the rich jus were pack full of flavours. 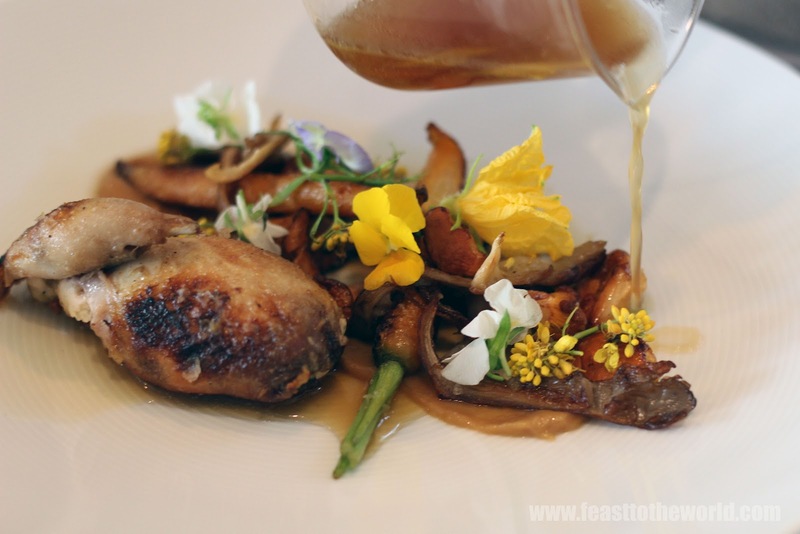 The star of the dish, herefordshire quail, although beautifully cooked were a bit too over seasoned and salty. A shame really on an otherwise excellent dish. I also tasted Erik's monkfish main where were the monkfish. Once again, it was skilfully cooked and the Bakskuld has gave the dish a faint smokey flavour. 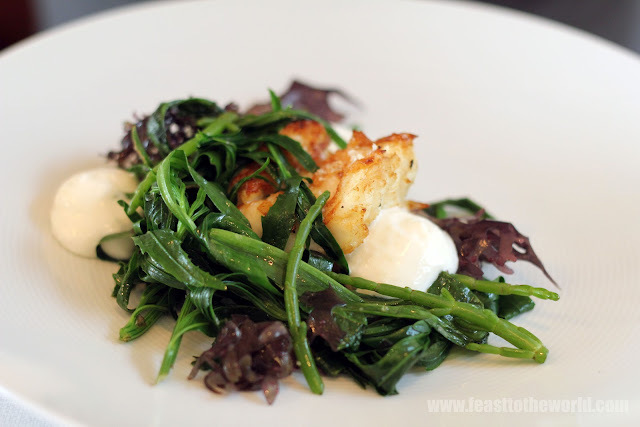 The sides of samphire and other sea vegetable provided a crunchy and salty contrast to the dish. Even though the pudding menu looked enticing, we did not ordered any as we had planned for a light lunch. The food here were beautifully presented, inventive and masterfully executed. 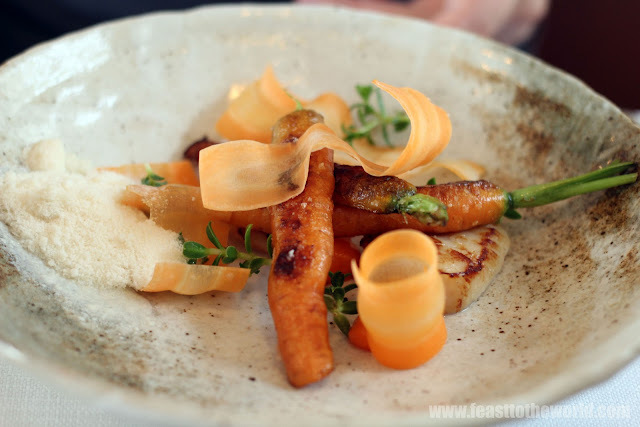 Even with the slight hiccup, the Danish chef, Christoffer Hruskova is undeniably a great culinary talent. 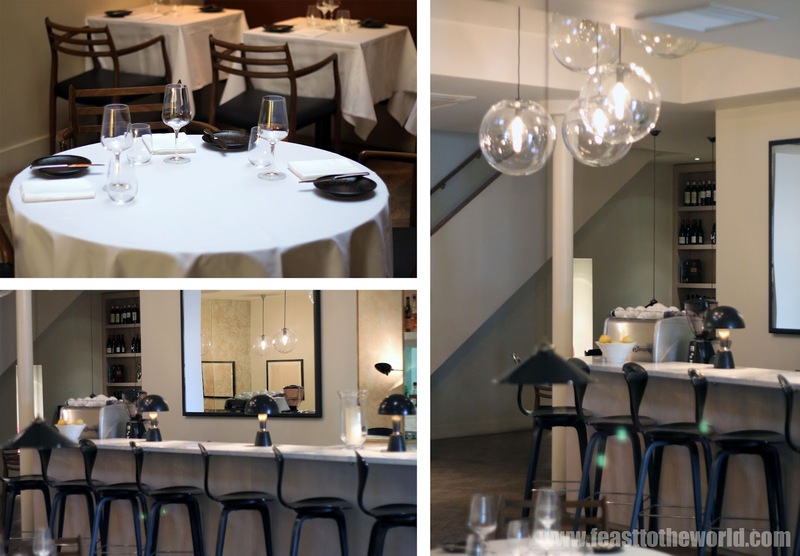 With one Michelin star tucked safely under his belt, it's an accolation well deserved indeed. I will be back for the pudding next.